NEXT | What heroes would you want to see for Diablo 4? This character profile has been written for Mymag, one of our supporters. If you enjoy it, you can check out the other profiles we’ve written, too! The woman across the table leaned back, incredulity on her fine, narrow features. He’d known her for a thousand years. It sometimes seemed like no time at all. She let him drink in blessed silence for a whole minute before she tried another tactic. “You don’t…” She almost sputtered. “Neither did I.” A gesture and the bottle floated and topped off his glass. It was such a banal display, but it made her eyes narrow and her lips twist up into a moue of disapproval and that was sweeter than the wine to him. “Exactly what did.” Another sip. The truth was, he was needling her because he’d found little in life in Dalaran worth exploring. He’d been a middling Druid, barely able to heal a wounded bird or call up a few branches, but when the Highborne had come to Darnassus he’d learned quickly from what they’d offered to teach. He’d gone south to Feathermoon and made his way to Eldre’Thalas, to train at Evenshade’s knee. And it had come to him, so quickly. At first, it had been exciting and new and he fell in love with it. Until he didn’t love it at all. He opened his mouth to say something, but he didn’t know what to say, and she spun and left in a whirl of her cloak that had a kind of art to it. Ash always made a good exit. The truth was, he didn’t disagree with her. 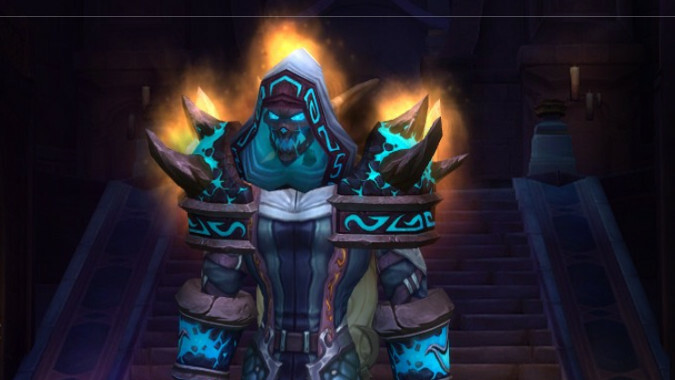 He’d been looking all his life for something to keep his interest, but even now, even after Argus and Antorus and the end of the Legion… he still didn’t know what could possibly do it. Still hadn’t found a way to keep from feeling adrift, unmoored and unsatisfied. He gestured, caught the eye of that Dwarf lad. Another bottle wouldn’t do it either, but not trying felt like quitting. I have nothing to prove. I helped save the world. That’s enough. He drank his wine alone. It chafed at him. The idea of Eldre’Thalas under Horde flags… that library gone. When the Nightborne joined the Horde, he’d felt sick imagining the Quel’dorei capering with glee at all that magic, all that knowledge, ten thousand years of it lost to the Night Elves, secrets hoarded from the original Highborne before Azshara. Could he let that go? Could he sit there in Dalaran, staying out of the brewing war, and drink instead of acting? Magic was in his blood. It was a part of him, a fire so much hid he’d never even known he was burning until they came to Darnassus. Now Darnassus was gone and he was in a floating city drinking old wine. He decided he could make the decision soon. After one more glass.